What does it take for a family business to survive and thrive for 25 years or more? Our weekly feature shares the secrets to success of local businesses with staying power. What: Purveyor of "Quality Used Books and Fine Old Books"
Founded: 1976, by retired geography professor Stan Duttenhofer. Number of employees: "None! My husband and a friend volunteer!" CINCINNATI — Stan Duttenhofer parlayed his interest in collectible books into what is now one of the city's most unique bookstores. The shop's second owner, Russ Speidel, left a legal career to follow his enthusiasm for beautiful old books and literature, working with Duttenhofer for a few years to learn the business and taking over ownership in 1986. Current Owner Kim Steinsiek began working for Speidel part time in 1990, and bought the store when he retired in 2011. 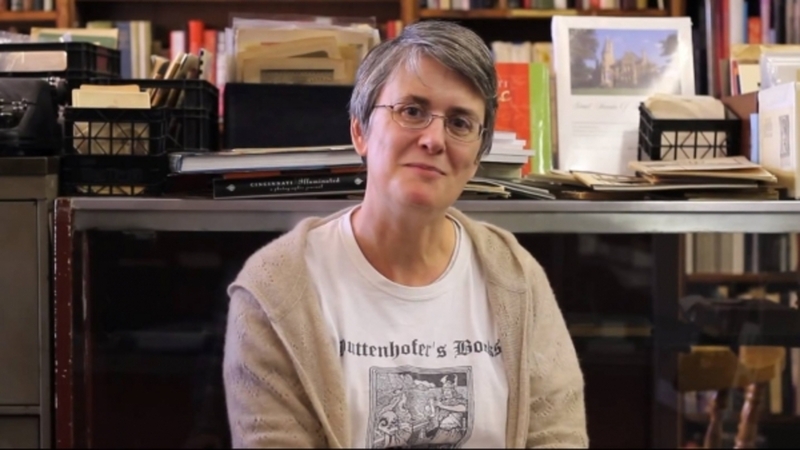 As the Duttenhofer's website explains, this Clifton Heights landmark has built a loyal cult following not only among among the city's literary enthusiasts, but book lovers around the world. 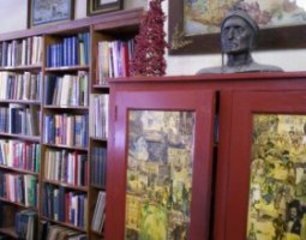 Located within walking distance of the University of Cincinnati, Duttenhofer's buys "good-quality, good-condition books, especially classic titles of literature, philosophy, classics, poetry." Store owners suggest customers call or email first to find out whether they can use what you want to sell. What they offer (compensation-wise) depends on current market conditions and the store's inventory needs. As the website stresses, "the dollar value of a book is not mostly about its age, but about quality and condition." What they don't buy? Textbooks, library discards, Time Life or Reader's Digest books, paperback romance, magazines, encyclopedias or damaged books. Our customers are book lovers of all ages, both locally and all over the world through our Internet sales. What's great about doing business in Clifton Heights? Having the University of Cincinnati for a neighbor -- especially CCM (College Conservatory of Music) and DAAP (the college of Design, Art, Architecture & Planning). Students, faculty, and distinguished visitors are drawn to the great books we have here. What's challenging about doing business in this community? Clifton Heights has changed a great deal during these decades. Our block is now called "Old Town," (as a distinction) from the new construction (U Square at the Loop) to the east on Calhoun and McMillan. Luckily, it suits us to be "old" anything. But we don't want the area to become less attractive to customers. What has proven to be the key to your business's longevity? Definitely our adaptability in the rapidly changing media environment. The Internet had a dramatic effect on used bookstores beginning in the late 1990s, when we started selling our books online as well as in our open shop. Then, Internet book selling itself underwent several major shifts affecting the availability and pricing and "sell-ability" of old and used books. We have managed to keep up. We couldn't do it without the enthusiastic appreciation of fellow book lovers, which has only increased as books become more marginalized in the world. We buy and sell tens of thousands of books a year, most of them European and American, from as old as the 1500s to as recent as the bestseller list!" According to Steinsiek, a bust of famed Italian poet Dante Alighieri (pictured above) holds court over the bookstore and came from the old Walnut Hills High School. It's considered the Duttenhofer's mascot.